As we age, collagen formation is reduced and the skin's elasticity decreases. Exposure to environmental elements like sunlight, air pollution and smoke cause oxidative damage to the skin accelerating the ageing process. Vitamin C (Ascorbic Acid) is the skin’s most effective natural anti-oxidant and is essential for photo-damage repair and for the formation and stabilisation of collagen. Vitamin C levels decrease significantly as we age; most rapidly in the face and UV exposed skin. L-Ascorbic Acid is the form of Vitamin C that is proven to penetrate, protect and repair the skin. With regular twice daily use these great feeling serums elevate and stabilise Ascorbic Acid skin levels, helping improve collagen structure and provide essential photo-damage defence and repair. A unique powerful formulation of L-Ascorbic Acid 8% and high-strength Ginkgo biloba extract, in a silky smooth serum. Rapidly absorbed Flavo-C Serum is proven to significantly increase the skin’s Vitamin C levels providing elevated and stable levels of this skin-essential anti-oxidant and collagen booster. Flavo-C Serum is suitable for all adult skin types, its prescriptive daily use as an essential anti-ageing treatment will leave the skin feeling soft and improve its tone and texture with the visible reduction of fine lines after as little as 2 months regular use. A unique high-strength potent formulation of L-Ascorbic Acid 15% combined with a skin boosting combination of natural plant derived flavonoid and polyphenol anti-oxidants. The skin boosting natural G,V&G complex contains Ginkgo biloba, Vitis vinifera (Grape Seed), and Green Tea extract. 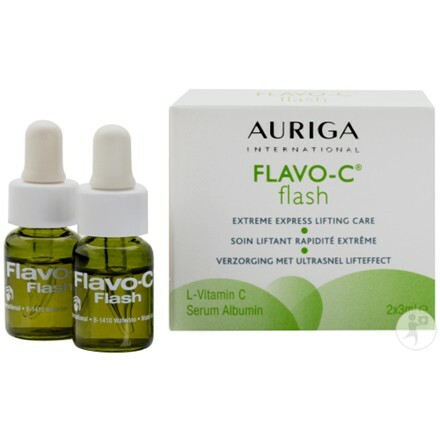 Flavo-C Forte combines the power of nature with the proven clinical benefits of high strength L-Ascorbic Acid and is suitable for more mature and photo-damaged skin. Its prescriptive use as an essential anti-ageing treatment will help improve skin tone and texture with the visible reduction of fine lines after as little as 2 months of regular use. Flavo-C cream is a powerful anti-ageing moisturiser formulated to provide intensive skin hydration leaving the skin soft, supple and enriched. 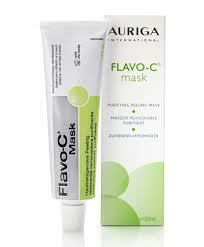 Used in conjunction with Flavo-C serums, Flavo-C cream can assist in the effective penetration of Vitamin C into the skin. Flavo-C Flash is formulated with a powerful protein complex that dries within minutes forming an invisible flexible gel film that provides an instant tightening and smoothing effect on the skin. The appearance of fine lines and wrinkles can be visibly reduced. This effect can last for 5 to 6 hours after one application. Flavo-C Flash is perfect for those special occasions when you need to look your best and is particularly suitable for use around the eye contour. A purifying and soothing toning lotion containing Glycolic Acid and Phytic Acid to purify, and Marine Elastin and Aloe Vera to tone and soothe the skin. Flavo-C Tonic is ideal for daily use as part of an anti-ageing regime particularly before the application of Flavo-C Serums and as part of a prescribed skincare regime purifying and toning the skin in preparation for a medical aesthetic procedure. A purifying and exfoliating gel that is applied thinly over the face and neck. Leaving it on the skin for 15-20 minutes allows the gel to form a flexible cooling mask and the Zinc, Copper and Magnesium to purify the skin. The mask can be gently peeled from the skin exfoliating and helping unblock pores as it goes, leaving the skin refreshed and cleansed.